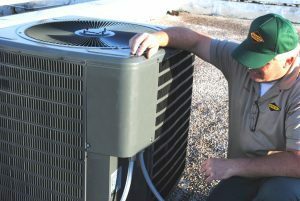 You may have heard that it is a good idea to have your air conditioner tuned up before the weather gets brutally hot. You may also know that yearly AC maintenance can improve the energy efficiency of your system and prevent future problems. Anytime in spring — before the extreme heat hits — is the time to schedule an AC tune-up in Burlington NC. Most HVAC (heating, ventilation, and air conditioning) companies offer AC tune-ups, but not all companies perform the same checks and repairs. If you are paying for maintenance, you want to make sure you are getting thorough, quality AC repair in Burlington that will restore your unit to like-new condition. Make sure that your technician is doing the following checks and repairs to your air conditioning. Replace filters. Filters get dirty and collect dust. Dirty filters slow down air flow and allow dirt and dust to get into your system. It is recommended that you replace your filters in between tune-ups, but it should still be part of the maintenance appointment. Clean the evaporator and condenser coils. When dirt builds up on the coils, it forms an unwanted layer of insulation that makes it harder for your AC to absorb heat and cool it down. As a result, your AC will not be able to cool your home effectively. A good cleaning is necessary every year. Oil/lubricate motors. The working parts of your air conditioner need to be lubricated in order to move easily and prevent wearing out. Check thermostat and calibrate if necessary. If your thermostat is not sensing the temperature correctly, you may find that your home never reaches the desired temperature. Your AC will run more than it should, causing an increase in your energy bill. Your technician should check for this and calibrate your thermostat if necessary. Inspect electrical wiring for any corrosion or disconnections. Moisture can cause metal wires to corrode over time, which can be dangerous. Corroded wires should be replaced. Electrical connections can sometimes get loose due to the vibrations of the motor and may need to be reconnected to prevent loss of power to your cooling system. Check refrigerant levels and recharge if necessary. Over time refrigerant can evaporate some, meaning some may need to be added to make sure your system has the right amount. If refrigerant levels are extremely low, it may indicate a leak, which is a serious problem that needs to be repaired. Our technicians take care of these important steps as part of our AC tune-up in Burlington, as well as other checks and repairs. We make sure to check, clean, and repair all of the crucial parts of your air conditioning so that it runs efficiently and reliably. You can rest assured that AC repair in Burlington from Alamance Oil is a quality tune-up. Our Comfort and Protection Service Plans include yearly tune-ups for your AC and heat, along with discounts on repairs and priority service. Call us today at (336) 226-9371. Don’t wait until the weather gets brutal, reserve your tune-up today. Berico Heating & Air Conditioning of Greensboro Expands Services With Latest... AC Tune-Up in Greensboro: Why is it so Important?